Orlando is a city in the central region of the U.S. state of Florida. It is the county seat of Orange County, and the center of the Greater Orlando metropolitan area. Although Orlando is not considered a small town, it ranks as the fourth most popular city, based on where people want to live, according to a 2009 Pew Research Center study. The city's famous attractions form the backbone of Orlando's tourism industry, making the city the most visited American city in 2009. Orlando currently attracts over 51 million tourists a year. Its airport, the Orlando International Airport (MCO), is the thirteenth busiest airport in the United States, and the city is one of the busiest American cities for conferences and conventions. Orlando is also home to the University of Central Florida, which is the second largest university in the United States in terms of enrollment (as of 2011). Orlando is a major industrial and hi-tech center. The metro area has a $13.4 billion technology industry and is a nationally recognized cluster of innovation in digital media, agricultural technology, aviation, aerospace, and software design. More than 150 international companies, representing approximately 20 countries, have facilities in Metro Orlando. Orlando has the 7th largest research park in the country, Central Florida Research Park. It is home to over 120 companies and is the hub of the nation’s military simulation and training programs. Metro Orlando is home to the simulation procurement commands for the U.S. Army, Navy, Air Force, Marines and Coast Guard. Another important sector is the film, television, and electronic gaming industries, aided by the presence of Universal Studios, Disney's Hollywood Studios, Full Sail University, UCF College of Arts and Humanities, the Florida Interactive Entertainment Academy, and other entertainment companies and schools. The U.S. modeling, simulation, and training (MS&T) industry is centered on the Orlando region as well, with a particularly strong presence in the Central Florida Research Park adjacent to University of Central Florida. According to the 2010 US Census, the city had a population of 238,300, making Orlando the 79th largest city in the United States. The Greater Orlando metropolitan area has a population of 2,134,411, making it the 26th largest metro area in the United States. As of 2010, there were 121,254 households out of which 15.4% were vacant. As of 2000, the average household size was 2.25 and the average family size was 2.97. The median income for a household in the city was $35,732, and the median income for a family was $40,648. The per capita income for the city was $21,216. Orlando is home to the fastest growing Puerto Rican community in the country. Orlando also has a large and growing West Indian and Jamaican population. Housing prices in Greater Orlando went up 34% in one year, from an average of $182,000 in August 2004 to $245,000 in August 2005, and eventually to a record $255,000 in February 2007. From there, with the economic meltdown, prices plummeted, with the average bottoming out at $94,950 in January 2011. Information above is from Wikipedia. Orlando is best known for the Walt Disney World Resort and the Universal Orlando Resort. Orlando is also home to the SeaWorld theme park and the Wet 'n Wild Water Park. With the exception of Walt Disney World, most major attractions are located along International Drive. At 110- acres, Gatorland provides affordable-priced family fun with thousands of alligators & crocodiles to see, an aviary, breeding marsh with observation tower, petting zoo, nature walk, award-winning gift shop and one-of-a-kind reptilian shows including the Gator Wrestlin' Show, Gator Jumparoo and the Up-close Encounters Show. Enter the lush tropical world of the Central Florida Zoo & Botanical Gardens. A relaxing, entertaining and educational experience for the entire family. Besides seeing over 400 animals, you can take to the sky and enjoy our aerial adventure course, ZOOm Air Adventure Park or cool-off in the Wharton-Smith Tropical Splash Ground. Lakeridge Winery & Vineyards opened its doors in February 1989 in Clermont, Florida and sits on a 127-acre estate in gently rolling countryside some 25 miles west of downtown Orlando. Visitors can enjoy its extensive tasting room, festivals and gift shop. Lakeridge Wines are sold under the Lakeridge and Lakeridge Reserve brands wines at the winery and at major supermarkets and wine shops throughout Florida . Together, these labels have won more than 700 awards for excellence in winemaking. From the best of independent film at the Florida Film Festival to fine arts museums, cultural options in Orlando offer a mix of traditional and modern entertainment for visitors. For those with more traditional tastes, the city's theaters entertain with options from Shakespeare to children's classics, and area museums and galleries showcase local and global artists. More than 150 golf courses can be found in and around Orlando, with the most famous being Bay Hill Club and Lodge, home to the Arnold Palmer Invitational. While Orlando is full of unique outdoor and sporting activities, those seeking a more laid-back experience can opt for a stroll through one the many gardens and parks or enjoy an early morning hot air balloon ride over the Central Florida treetops with Painted Horizons. With numerous tennis facilities and hundreds of lakes for fishing and boating, and Orlando is a sportsman's paradise. The Downtown Orlando Information Center is your resource for all Downtown informational needs. Get answers to questions about Downtown events, attractions, venues, dining, accommodations, parking, businesses, transportation and more. 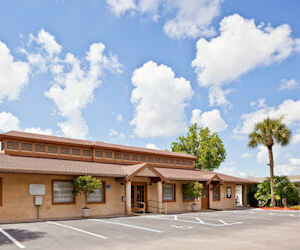 Located at 201 S. Orange Ave. For more information visit the Downtown Orlando Official website. From some of the top department stores including Neiman Marcus, Saks Fifth Avenue and Bloomingdales to one of the largest outlet locations in the Southeast, Orlando shopping has something for everyone. From independently owned neighborhood eateries to family-fun themed establishments and a number of celebrity chef-anchored, four- and five-diamond restaurants, Orlando has evolved into a culinary destination with sophisticated restaurant options for every taste. The information above can be found at Visit Orlando, the official source for Orlando travel planning. Orlando news publications include: the Orlando Sentinel, the Orlando Weekly, and the Orlando Business Journal. Other resources for information on Orlando are the City of Orlando website, and the Orlando Regional Chamber of Commerce website. Lakeshore Landings is a 55+ community gated community on Lake Catherine featuring resort-style amenities in the heart of Orlando, Florida. Discover a peaceful, serene setting for retirement living at Lakeshore Landings, enhanced by the sparkling 60-acre lake that is a playground for nature enthusiasts and fishing lovers. Amenities include two clubhouses, a heated swimming pool, fitness center, fishing pier, boat dock and boat ramp, and a covered lakefront pavilion. Discover the best location in the Orlando area and escape the hectic pace of city life, while located just four miles from downtown Orlando. 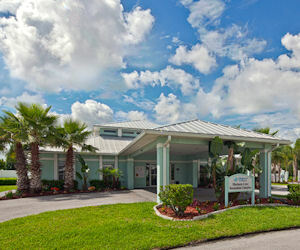 Celebrate the good life at Gulfstream Harbor, a 55 plus retirement community in Orlando, FL. This resort-style community offers picturesque views, thanks to its sparkling catch-and-release fishing lakes and charming homes. Amenities include three inviting clubhouses, three swimming pools, lighted tennis courts, fitness facilities, a putting green, a lakeside preserve with barbecue and picnic area, lakeside walking paths, boat and RV storage and a full calendar of planned events and activities. Gulfstream Harbor is conveniently located near the heart of Orlando, enjoy easy access to Interstate 4 and Florida's Turnpike within 14 miles, with downtown Orlando only 11 miles away. Susan Melton is a Seniors Real Estate Specialist for 55 plus communities in the Orlando Area.